Valentines Day is just around the corner and maybe you want to make your first date special on a budget or maybe you want to romance your partner but don’t have a spare penny. Well, as ever, Wonderthrift to the rescue! I read somewhere that the most successful dates are those that encourage the release of endorphins and that make you feel as if you are really experiencing something together. 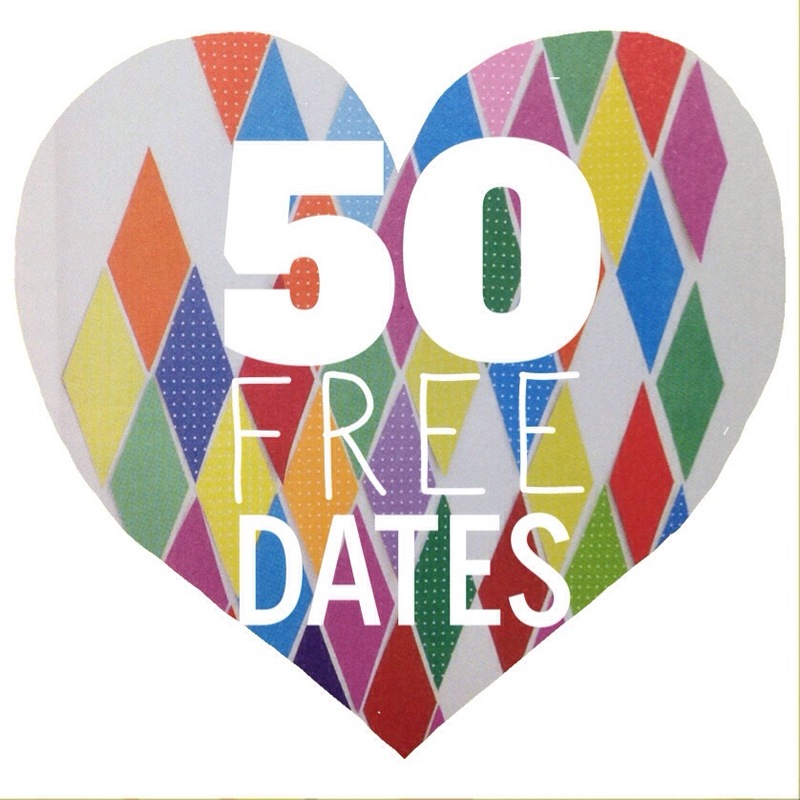 So not only is this list a list of fifty FREE date ideas (okay, maybe one or two cost a few quid) but it is also a bit alternative. Your job is to ignore the ones that resemble the kind of activity you might normally get up to and instead consider the ones that you think sound a bit weird. That way your date will be extra special and you’ll be floating about loved up and high on endorphins. Stargazing! It’s a classic for a reason! Dress up warm, grab a blanket and download the stargazing app. Make a mural using old china. Have you had a spectacularly thrifty romantic date? Do share your ideas! To had to go back and change a couple of “lusts” into the “lists” they were meant to be in this too, so it could have slipped in EEP! REALLY love this. Thank you! These are such great ideas – I love the going to the park idea as we had so much fun going out and playing in the snow at night last year. Thank you for sharing. Oh… A swing party? Dare I ask what that is!? I think I’ll make a seed bomb! Lol! How do I do that?